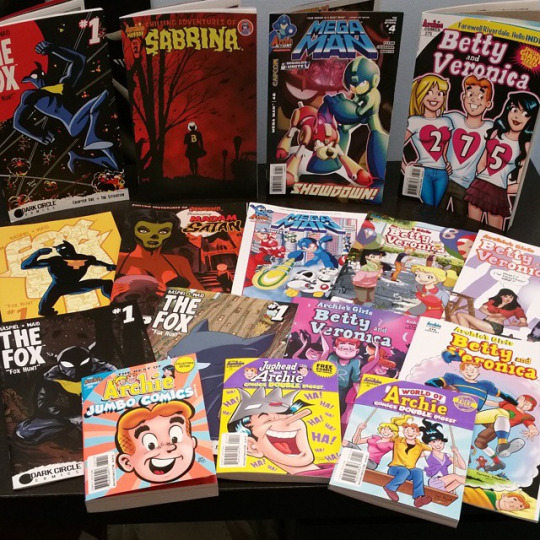 Home News New Comics Galore in Episode 24 of The Official Archie Comics Podcast! New Comics Galore in Episode 24 of The Official Archie Comics Podcast! In Episode 24 of The Riverdale Podcast – The Official Archie Comics Podcast, we discuss all the new releases for April 15th including ARCHIE VS. PREDATOR, CHILLING ADVENTURES OF SABRINA, and more! Click here to download Episode 24 of The Official Archie Comics Podcast! archie comics, archie comics podcast, riverdale podcast. Bookmark.